Want to cuddle with Don? In a my perfect world, we would greet and treat friends, family, and strangers as equals, embracing their individuality, beliefs, and personal journey. In that world, intentional touch would be commonplace, and accepted as a normal condition of our existence. By day, I work as a computer professional with a diverse range of individuals from all walks of life. In an office environment, touch isn’t something that we experience very often, and while I enjoy great satisfaction in my work, I do miss my family of origin, and the unconditional acceptance and touch that I was fortunate to experience growing up. Many years ago I attended school for medical massage therapy and have been a massage enthusiast ever since, but tending to muscles and joints from a medical goal oriented perspective left me wanting more for my clients. I got closer to my calling while studying Sacred Lomi massage as practiced by Hawaiian Shaman healers. This healing modality follows a ritualistic structure incorporating body, mind, and spirit. The best massage therapists, regardless of the modality practiced, have their focus and intent on healing the client, but the interaction between therapist and client is by nature imbalanced. 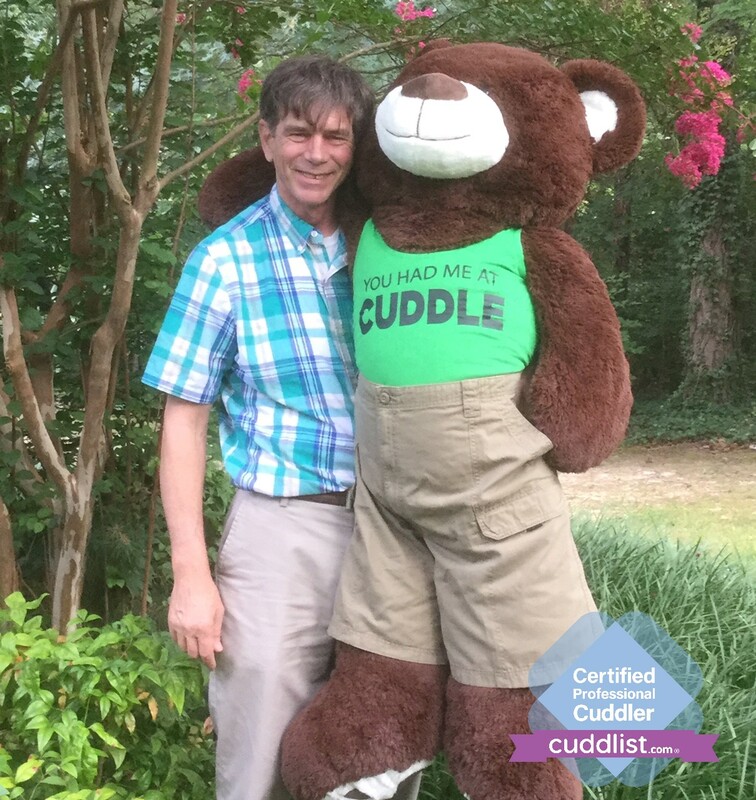 My work as a professional cuddler is by far the most rewarding part of my journey. As a client, you are my equal as we practice mutual consent and explore boundaries within the Cuddlist Code of Conduct. I am not in the role of a healing practitioner with a goal of fixing some particular issue. My role is that of a guide, exploring your likes and desires, in a safe space, with respect and acceptance. You be you, I’ll be me, and we will choose together how our session will evolve. Just two people cuddled and playing, without agenda. Once you request a session for an appointment you will receive an introductory e-mail with more information, and a link to an online client intake questionnaire to help me learn a bit more about you. 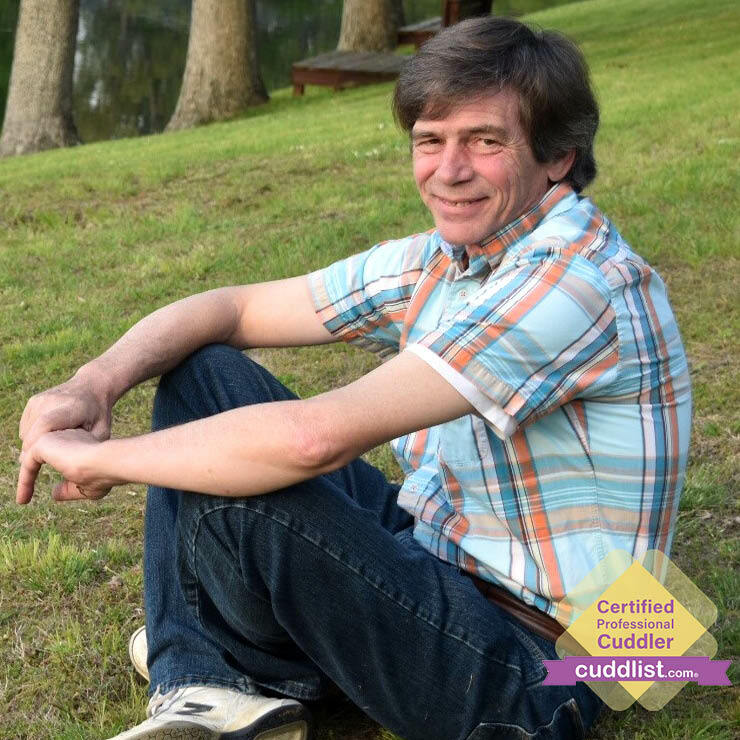 Once the pre-cuddle questionnaire is reviewed, I will contact you to ask/answer any questions needed to assure we are a good fit and work out the details. Request a session today! If that means stepping out of your comfort zone, we will both celebrate you taking that initial leap to learn more about cuddling, and possibly finding a new and different way to experience self care.